This classic side chair is an easy addition to a variety of decorating styles. The chair has a comfortable upholstered seat and gracefully curving backrest accented with slats. Square front legs and curving back legs complete this homey design. 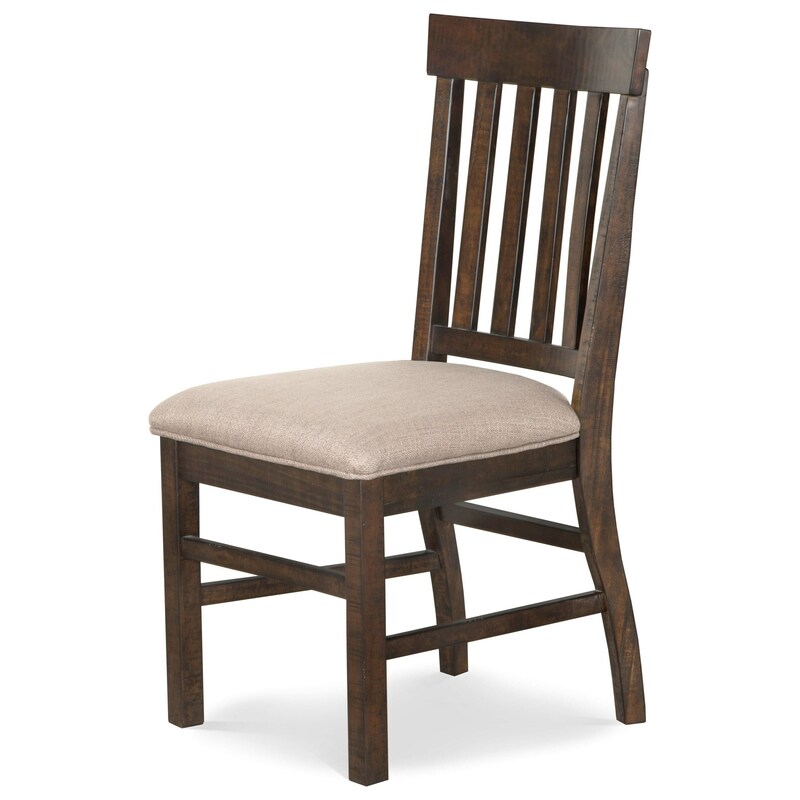 The St. Claire Slat Back Dining Side Chair by Magnussen Home at Miskelly Furniture in the Jackson, Pearl, Madison, Ridgeland, Flowood Mississippi area. Product availability may vary. Contact us for the most current availability on this product. The St. Claire collection is a great option if you are looking for Rustic Transitional furniture in the Jackson, Pearl, Madison, Ridgeland, Flowood Mississippi area.